The 2017 Yuma Airshow was held on Saturday March 18th, 2017, under typically azure Arizona skies, at Marine Corps Air Station Yuma (which shares tarmac with Yuma International Airport, KNYL). 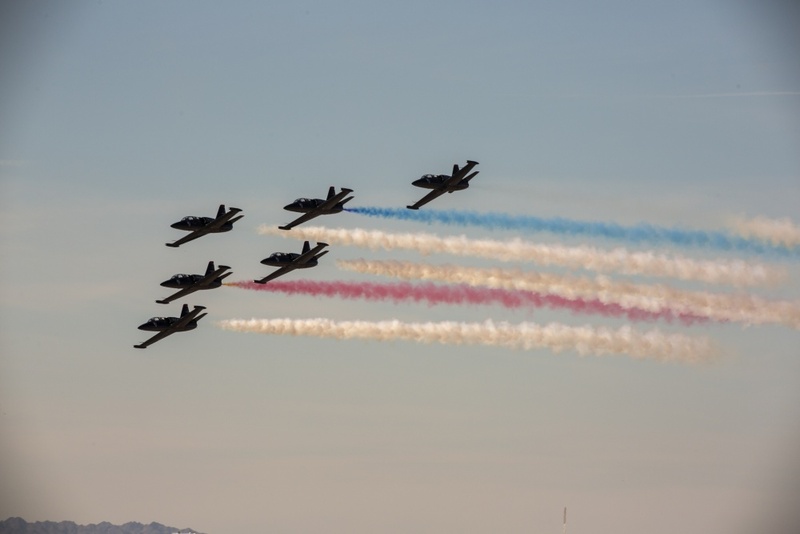 Appearing alongside several civilian performers was an array of USMC hardware – including UH-1Y Venom and AH-1Z Viper helos, as well as the F-35B Lightning 2, AV-8B Harrier, MV-22B Osprey, F/A-18E Super Hornet and (be still my heart!) four F-5N Tiger IIs. I’m not really qualified to lecture in aviation photography, but I’ve always said the first rule is to move away from the other cameras – and this fantastic shot shows what a difference that can make. Just – wow! MCAS Yuma began life as a mixed use landing ground with dirt strips and one hangar in 1928. Established under the impetus of Yuma Chamber of Commerce and the recommendation of US Army Colonel Benjamin F. Fly, it was known as Fly Field until mid-1942, when it became Yuma Army Airfield and more extensive construction began. Training in AT-6 Texans started from January 1943, flexible gunnery training from November ’43, and multi-engine training on Martin B-26 Marauders from 1944. Following a ten-year post-war lull as Yuma County Airport, USAF Air Defence Command training came to Yuma from 1954, mostly focused on rocket proficiency courses on the nearby gunnery ranges. The base was known as Vincent AFB from 1956. In 1962, the Air Force handed control of the base to the US Navy and, on July 20th, the US Marine Corps took it over as MCAS Yuma. 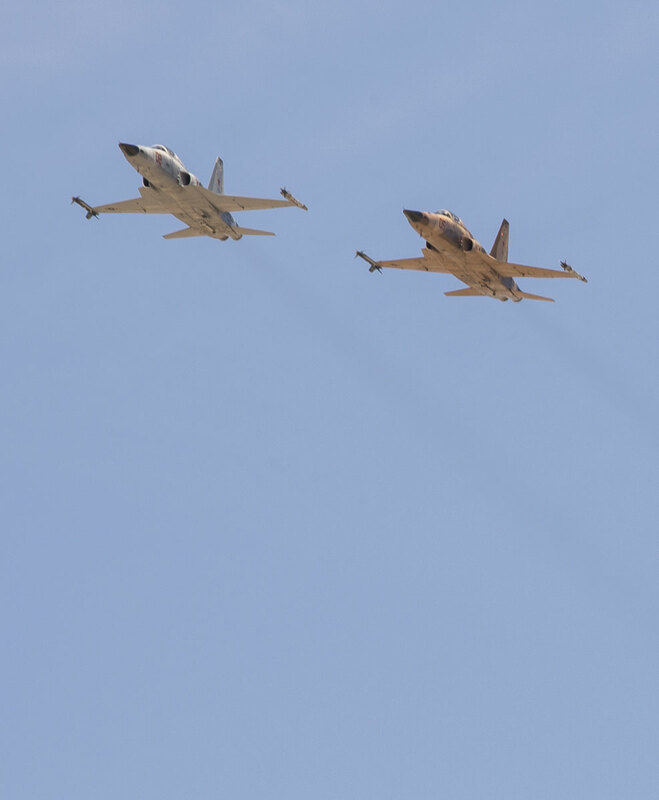 SInce then, the base has been home to Marine Corps fleet replacement squadrons, including the Tigers of Marine Fighter Training Squadron (VMFT) 401 – the ‘Snipers’ – flying as aggressors for Dissimilar Air Combat Training. Patriots Jet Team operate two MiG-17 jet fighters and two Rockwell (originally NAA) Sabreliner 60s for logistical support. But the lynchpin of the fleet – and the show – are their eight L-39 twin-seaters, two of which are kept as reserves while six fly the formation displays. The fan break over a wall of fire is something of a signature move for the team. 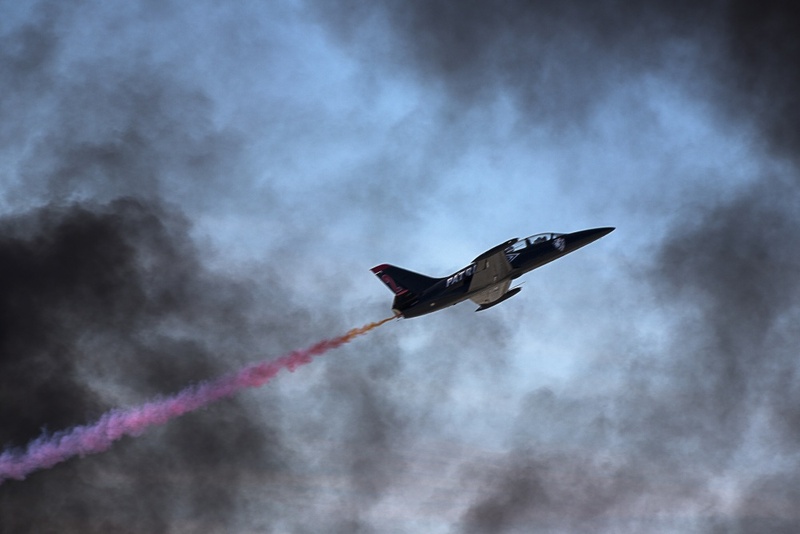 The Team was founded by former United Airlines captain and Reno Racer Randy Howell, who bought his first L-39 in 1999 (after performing in the MiG-17 since 1996). More L-39s followed and the Patriots Jet Team was first assembled in 2002. 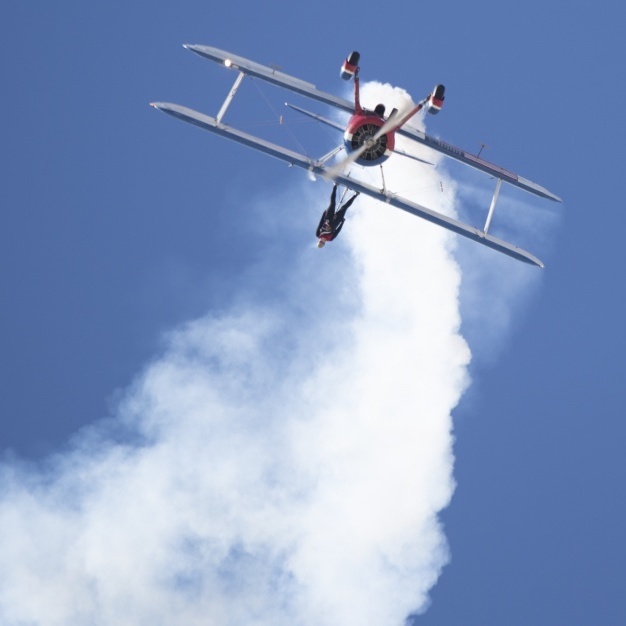 Since then, over 1,500 airshow performances have been given. The Czech-built L-39 is a favourite of jet warbird operators around the world. Superbly built and relatively simple to operate, the two-seat trainer is ideal for commercial adventure/air combat flights, while its sleek lines make it a favourite with airshow crowds. In fact, it’s proven so popular in its post-service life that Aero-Vodochody is bringing it back into production after 20 years, as the much-modernised L-39NG. The frisson of being the craft of a former enemy gives L-39s an extra edge that quickens the pulse on sight. Many still wear red stars and Eastern Bloc camouflage for precisely that reason. As an interesting aside, the Patriots also use their Sabreliners to offer corporate jet pilots type-similar upset recovery training – a role the fully aerobatic NA265 is almost uniquely suited for. The Patriots Jet Team Foundation is an associated non-profit organisation dedicated to promoting a passion for aerospace among the next generation, and using flying to excite school students about STEM (science, technology, engineering, mathematics) subjects. Sounds good to me. for this article does not imply or constitute DoD endorsement. That is an awesome photo! And an interesting story behind the team and the airfield. I’ve only been to that part of the world once, and I was quite a bit further north following I40. But still, the scenery of desert and mountains is really beautiful. Further along the same trip we drove past NAS Point Magu as F-14 Tomcats were landing and I just about jumped through the windshield. So yeah, I know that feeling!